With the close of the year and the start of a new one, many of us are wondering about the cosmetic trends that will carry over from 2018 to the 2019 year. In the quickly evolving field of cosmetic surgery, there are a few strong trends that will continue. They include a focus on naturalism, an increase in patient travel, and a heightened demand for non-invasive procedures. If you are thinking about which cosmetic procedure might be right for you in 2019, then read on. The tastes of the average consumer are evolving towards more elegant aesthetics. The evolution of consumer trends is apparent with cosmetic surgery due to an influx of request for smaller, more natural-looking breast augmentations, and more subtle rhinoplasties. Most people want to improve their looks in milder ways that focus more on building a cohesive and harmonious aesthetic. The 2019 year will be all about natural looks and small changes that improve your appearance with classically enduring quality. In 2019, there are fewer obstacles to achieving the look you want with cosmetic surgery. More and more patients are flying in from across the states and even from other countries. Thanks to inexpensive air travel and the improved speed of obtaining a procedure, you can visit your choice surgeon regardless of their location. In fact, there was an increase of 18 percent in travel for our patients during 2018. We expect that people will continue to fly in from many areas around the globe to work with their preferred cosmetic surgery team. Technology is improving and with it, a demand for less invasive procedures. There has been a consistent increase in interest for treatments such as KYBELLA®, PDO threads, and non-invasive rhinoplasty fillers. We have noticed that our patients have found great success in facial rejuvenation with the use of KYBELLA® and PDO threading procedures. KYBELLA® is a method for contouring fat and skin around the lower chin or jawline. It helps to eliminate or reduce the appearance of a double chin. KYBELLA® is an injectable, which means no incisions and minimal downtime. PDO threads are great for creating a lifting effect on the face without going under general anesthesia. Local anesthesia is applied to allow for a relatively short procedure that often lasts around one hour. The PDO threads manipulate the facial structure to provide a more youthful and refined appearance. 2019 is going to be all about self-improvement and pushing ourselves to new levels. Part of that push toward a greater self might include enhancing personal aesthetics with a cosmetic procedure. There are even more innovations than the ones discussed so far. Now is the best time to schedule your consultation. The new year is the perfect occasion to celebrate a new you. 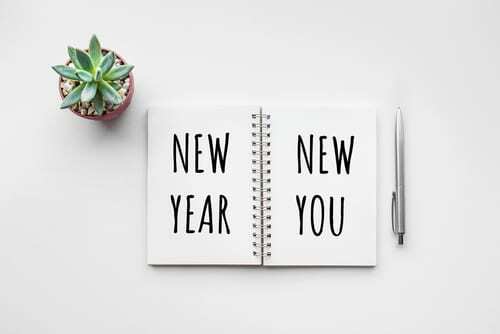 If you are interested in learning more about cosmetic treatments and plastic surgery, then contact us today and start 2019 the right way. Call 305-931-3338 to schedule your consultation.